Yemen is an intriguing, strategically located country that is the perennial "poor relation" of the wealthy oil monarchies of the Arabian Peninsula and has been plagued by deadly conflict since early 2015. In 2011, it saw a broad eruption of the mass protests associated with the "Arab Spring". But four years later, that popular movement was largely over-run by a series of deadly conflicts, stoked from outside by a lengthy, lethal military intervention led by neighboring Saudi Arabia. Arabia Incognita helps readers understand Yemen's unfolding crisis by tracing the country's modern history from the strong anti-imperial movement of the 1960s through the present complex of conflicts. 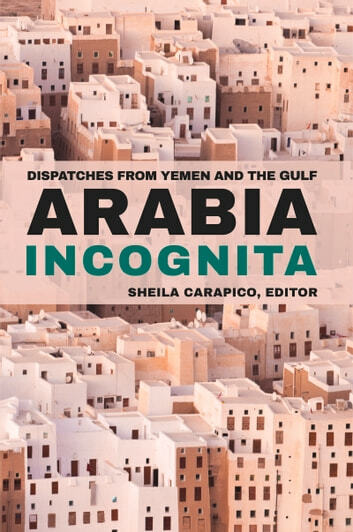 The "dispatches" in this anthology, originally published in Middle East Report, were chosen by renowned Yemen expert Dr. Sheila Carapico. 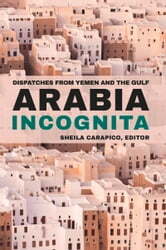 Arabia Incognita is published in collaboration with the Middle East Research and Information Project (MERIP), which has published Middle East Report since 1971.